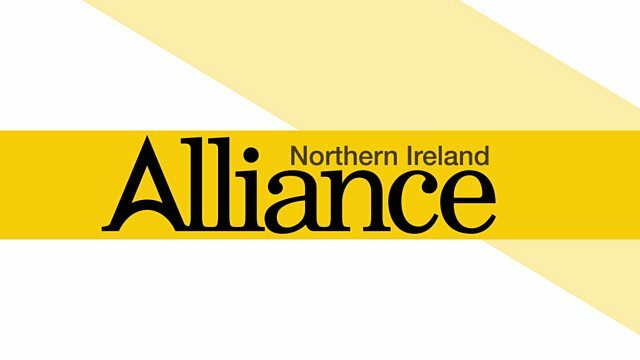 Live coverage of the Alliance Party's annual conference, including keynote speech by party leader Naomi Long. Browse content similar to 25/03/2017. Check below for episodes and series from the same categories and more! the strength of their seats for the last pick. They get the last pick. Party. Naomi Long has made it clear she doesn't want a ministerial post. competent minister. He was. Not least because you taught him! conference this morning. We think he's practically at the end of that. Belfast City counsellor. She's making her way to the platform. president of the party, former South Belfast MLA applauding warmly. Naomi Long's first speech to the Alliance Party conference. second, I wonder what David was at this time. it. Often at great personal cost but always with grace and dedication. voted Alliance across Northern Ireland, a 50% increase in our vote. simple - work like you won and next time you will. the finer detail of policy. And that was only the candidates. described the prospect of another election as pointless time wasting. and get on with the job we were elected to do. are here to drive change for good. That means firstly good government. government funds would be completely unthinkable elsewhere. due to another scandal. That of the botched renewable heat incentive. mandatory. Northern Ireland is exempt on the basis of security. more the case given the pressures which our key public services face. of us we need a cross-party compact agreed as part of the negotiations. Manchester and Glasgow. Our constituents deserve no less. between an national health service and a notional helper service. reconciliation process has long been this Cinderella element of the work. APPLAUSE. This is real flu, not man flu! reform the mechanisms for transformation. the weekend of Easter. They want to make those choices for themselves. when they are empowered to do that. APPLAUSE. acceptable now and it was not acceptable them. to make up in the dark places. APPLAUSE. and make it our strength. In the Alliance Party we will celebrate it. continues to flourish, of delivering change for good. Thank you. Alliance Party. She makes her way down through the body of the hall. on the up after a good result. A good result in this month's Paul. that there. I budget was always going to receive a warm response. the deal is the more difficult it will be for people to sign up to it. The parties have their own democratic processes to go through. chair of the Assembly committee and I think we work very constructively. to put up on the lamp posts? Perhaps. What about you, Stephen? Armstrong, Stephen Farry, there mutts leave it. Back to you, Mark. interview that Mark just did, how uncertain the situation actually is. worried about that. It does look like a coronation for Robin Swann. conference politics tomorrow morning. Goodbye. the largest cut-flower producer in Northern Ireland. at the Ballycastle horse ploughing championship.